A week ago, we reported on Honda’s upcoming 125cc motorcycle – Mystery. Honda 2 wheelers is getting ready to introduce new 125cc motorcycle specifically to Indian market. 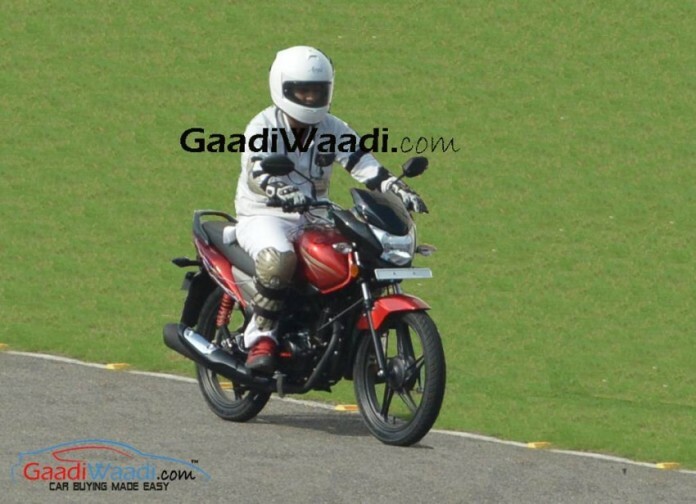 Earlier, Honda had teased a ‘mystery’ model at the 2015 RevFest event, and now it is almost confirmed that the company is bringing 125cc Honda commuter motorcycle – Shine SP . Folks from BikeAdvice, an automotive portal has obtained the promotional material of this bike, where the name of 125cc motorcycle is reported to be Shine SP. Honda CB Shine SP might replace the company’s popular model Honda CB Shine. The bike’s engine is powered by 124.7 cc engine that is capable of churning out 10.45bhp and delivers a 10.54Nm torque. The new Honda CB Shine SP, the commuter motorcycle is likely to get new 10-spoke alloy wheels, new tail lamps, graphics and re-designed head lamp, reports a source. Although the previous reports had indicated that the company is preparing to pull the wraps off its CB Hornet 160R in India on 19 November, a report of GaadiWaadi states that the 160cc bike is likely to make its market debut after the CB Shine SP. Hornet 160R, which is expected to be launched on 19th November, from the company gets design cues from CX-01 concept that made its debut at the 2014 Delhi Auto Expo, will come powered by a 162.71cc, single-cylinder engine that delivers a maximum power of 14.5Bhp at 8,000 rpm and 14.61Nm of peak torque at 6,000 rpm. The all new CB Hornet 160R from Honda shall take on its rivals like Suzuki Gixxer, TVS Apache, Bajaj Pulsar 150 and the Yamaha FZ in India. Mahindra Cresto - New name for Quanto Facelift?